Three architectural firms, the finalists in the competition to transform the imposing sandstone shell of the historic Telluride Transfer Warehouse into a community arts and ideas center, were in town the week of May 29 for the final stretch of a design competition that began in January. Each firm – Gluckman Tang, NADAAA, and LTL – shared preliminary conceptual designs during an open house for the public on Tuesday, May 30, 2017. 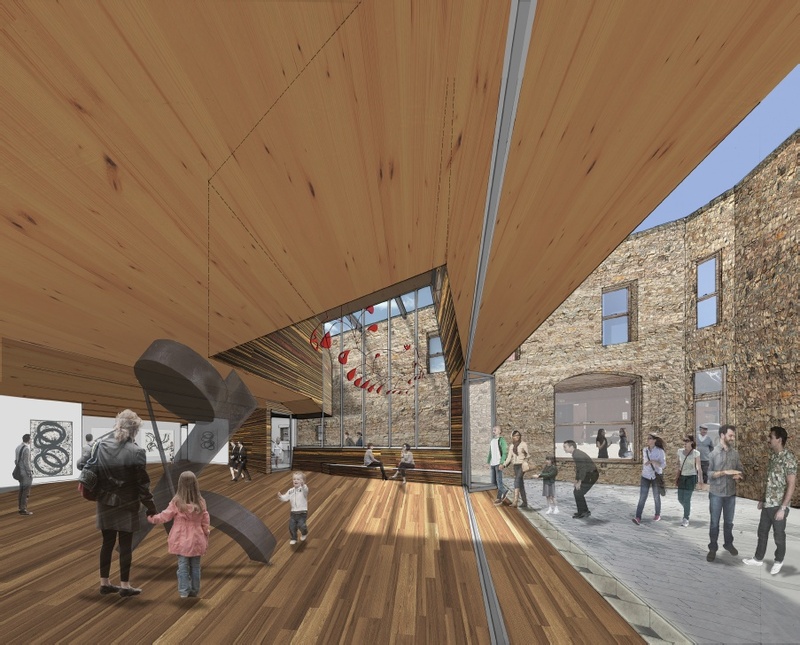 Each firm addressed specific program needs identified by Telluride Arts through community planning meetings over the course of the last two years and given the priorities: flexible spaces for exhibitions and events, allowing the historic stone to be exposed, and providing for a flow between the inside and outside. The three designs were very diverse, but all shared the approach of building a box within the walls to maximize the exposure of the historic stone on the inside. Hundreds of members of the community attended an open house and viewed drawings, models, and computer animations, asked questions of the architects, and then submitted their comments for consideration. That evening, a selection committee heard formal presentations by each firm, weighed the public opinion, and selected a winning team. It was not an easy task.